HiBy has decided not to mess with the DAC implementation with the new R6 Pro so that means the same dual-channel ES9028Q2M chipset as the original R6. Even in 2019 that is still an excellent DAC design despite the element of surprise being somewhat diminished compared to late 2017. The only observation is that with the new price of the R6 Pro at $799 and the DSD256 limit compared to the dual ES9028PRO and DSD512 ceiling of the DX200 at $869 it is slightly less of a killer deal but that is not a deal breaker by any stretch of the imagination. The Q2M range is still considered high fidelity but it is primarily focused on portable audio equipment as opposed to desktop solutions or solutions that can cope with high power consumption demands. As such the power consumption of this design is a little lower which entirely suits what HiBy want to get out of the R6 Pro in terms of battery life. The key differences between the PRO and Q2M performance wise are as follows. The Q2M is 2-channel as opposed to 8-channel in the Pro. The Pro draws up to a 500mW in terms of power consumption compared with the thriftier 82mW of the Q2M. 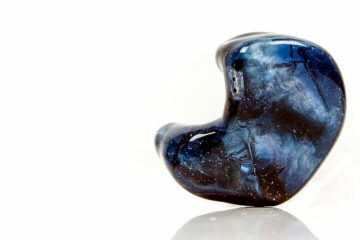 In terms of quality output, they are in fact potentially the same at +129dB DNR and -120dB THD+N which is top drawer. The HiBy R6 Pro will decode up to DSD256 and PCM 384kHz/32bit which is the same as the original R6. I am ok with that; most commercial tracks rarely go above. However, it does fall slightly behind the DX200 which can cope with DSD512 and PCM 384kHz/32bit. How useful that is when there is next to no DSD512 commercially available tracks out there is a matter for debate. As a point of contrast, the only other flagship DAP that can do DSD512 is the Lotoo PAW Gold Touch. Both the Cayin N8 and Sony 1Z stop also at DSD256. The HiBy R6 Pro will also process most popular lossless codecs such as APE, ALAC, AIFF. FLAC, WAV, and WMA. Maximum conversion rates are 384kHz/32bit for most lossless files. The exceptions are APE extra high (192/24), Ape Insane (96/24), WMA Lossless (96/24), DXD (352.8k), WAV (384/64). DTA architecture from the original R6 is also on the HiBy R6 Pro so all decoding is bit-perfect from the source and not ‘gimped’ by Android. That goes beyond single specific apps such as the HiBy Music app and applies to almost all other audio apps. Now we do not have TIDAL to test here to confirm (regional block) but I am led to believe that the R6 Pro will need to ‘hot-patch’ the firmware to enable bit-perfect output via TIDAL. I believe you can acquire the patch in the Facebook HiBy User Group. Also, there is no independent MQA support outside of TIDAL as yet. This is one of the major changes on the R6 Pro over the original R6. This is an entirely new amp stage with different performance numbers, enhanced output power and yes, a different tonal characteristic. The R6 Pro now uses four Muses8920 opamps for the main amp stage and an SSM6322 from Analog Devices for the LPF. There are two reasons for the move away from the original TI opamp selection. 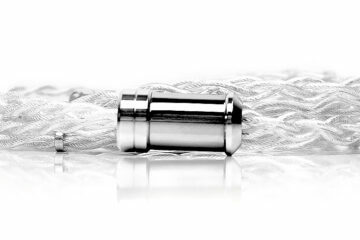 The first is to lower the output resistance from 10Ω down to a very healthy 0.24Ω for unbalanced and 0.28Ω for balanced. The R6 Pro will no longer suffer from low-z impedance skew so tools such as the iFi IEMatch cable are not necessary to correct impedance issues for high sensitivity IEMs that used to sound ‘weird’ on the original R6. The second is to dramatically increase the output power of both balanced and unbalanced signals on the R6 Pro from the original R6. The original R6 specs were 120mW under a 32Ω load for unbalanced and 300mW for balanced. The new R6 Pro specs shoot up to 245mW for unbalanced under a 32Ω load and a huge 750mW balanced under the same load conditions. Note these specs are per channel and not combined. The SNR remains unchanged fro the R6 at 120dB and 118dB for balanced and unbalanced. Some performance numbers have changed though on the new R6 Pro compared to the older R6. The THD+N numbers have dropped from 0.0008% in both balanced and unbalanced on the old R6 to 0.0012% balanced and 0.0025% unbalanced on the new R6 Pro. Whilst these numbers might seem a backward step for noise floors on the R6 Pro you have to remember that the resistance level is now much lower as well as the increased output power. That is the trade-off with the new amp design on the R6 Pro compared to the older R6. You can now power a wider range of headgear with more demanding needs as well as prevent low-z skew on sensitive IEMs but you will hear a higher noise floor on gear that is very efficient. After the amp redesign, this is the second major new feature of the R6 Pro; Android 8.1 or Oreo. This was an important move from HiBy. 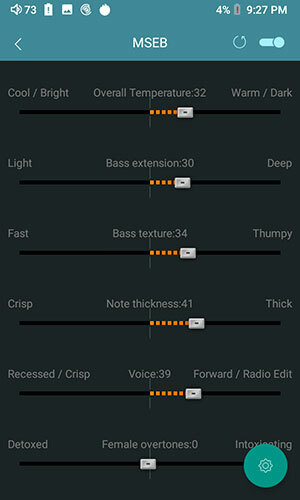 Not only did it open up the R6 Pro to a wider range of compatible apps from Google Play on the international edition but it also means enhanced features such as LDAC out of the box. It also ensures that HiBy keeps pace with companies like iBasso who have also upgraded their DX series with Oreo. Granted you can upgrade the older R6 now to Oreo by flashing from a disk but my initial reaction before we did the First Contact testing is that this could be slower than Android 6 on the R6. After all, the R6 Pro uses the same excellent Snapdragon 425 processor and 3GB of RAM for processing as the R6. 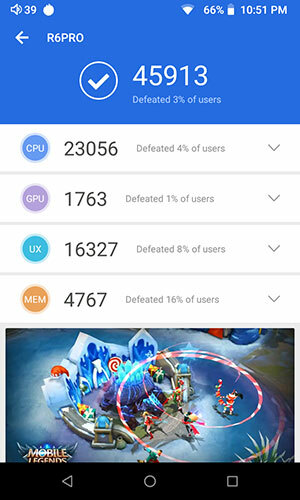 Would the performance take a hit on the R6 Pro with Oreo as opposed to Android 6? Our initial testing for the First Contact feature between the R6 Pro and R6 with Android 6.1 was actually very promising. The difference in scores was marginal to the point it was almost negligible. The R6 edged ahead in 3 categories compared to the R6 Pro’s better memory performance numbers. 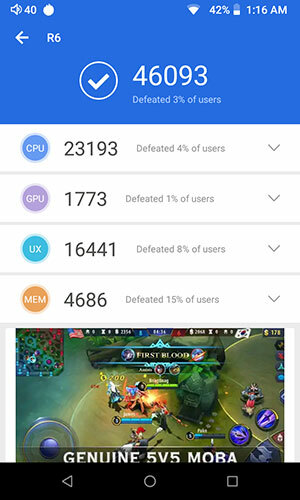 This may point to Oreo’s superior core memory management over the older Android 6 with better background apps management and reduced memory usage. With the original R6 upgraded to Oreo the results improve a little over the first Android 6 sweep. 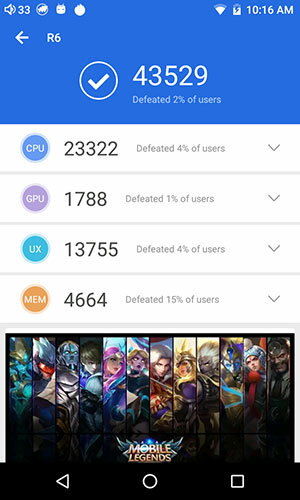 The big improvement is in the UX features of Oreo compared to Android 6 on the R6 with more marginal improvements in memory usage. Areas such as CPU and GPU take a very minor hit in line with the R6 Pro numbers. Truth be told the margin of error in these tests is such that only the enhanced UX figure would represent a significant change. Honestly, both are neck and neck in terms of performance so all credit to HiBy for sticking with the same processor and RAM configuration. The R6 Pro navigates as you would expect using Oreo. That means using a drop-down menu combined with a deeper Android settings menu combined with additional navigation controls inside the main apps supplied. You also have an apps drawer which will come in handy when the downloaded apps start piling up. 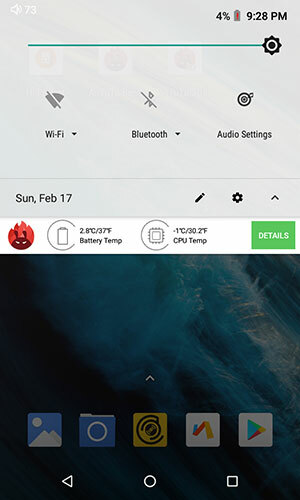 The drop-down menu will give you access to key features such as WiFi, BT, core audio settings, screen brightness control, and the Android main settings menu cogwheel. 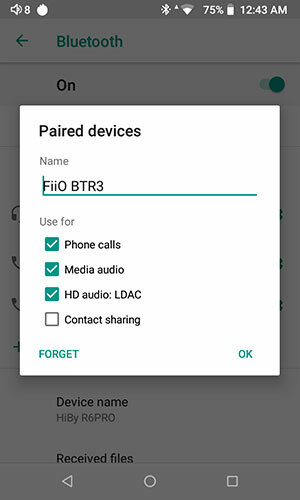 You have a limited choice of adding to this screen but they are not essential to audio playback such as a hotspot, location services, cast and night light controls, (most of which are redundant on the R6 as a DAP). 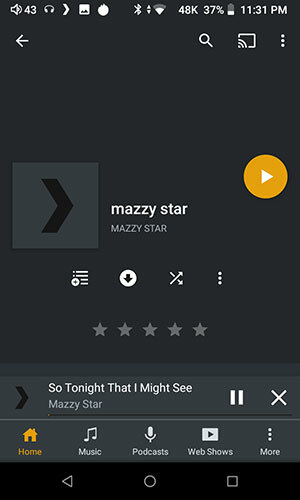 Within the HiBy Music app, you have a further level of navigation for media scanning, MSEB DSP, and a set of far more comprehensive audio controls such as replay gain, BT HWA and Play Through folders. Note these are exclusive to the app only whereas the drop-down menu audio settings will apply to all media apps. 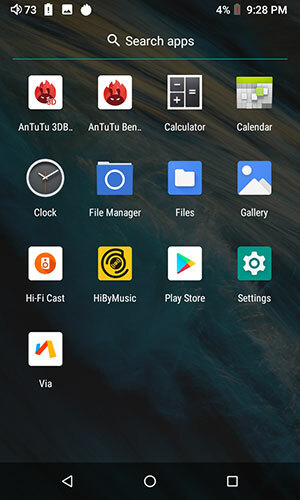 The main media app on the R6 Pro is the still the HiBy Music app but you are not tied to it exclusively for media management. 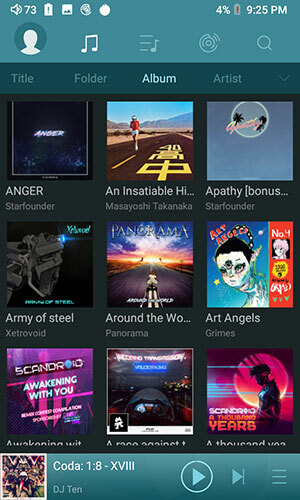 You can download Spotify, TIDAL or Neutron, whatever you please with the International Edition using Google Play Store to further enhance your experience. Note, the R6 Pro has no dual boot functionality so you will have to load it via the Android platform. 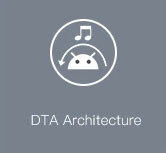 The use of DTA technology renders dual-booting moot as it allows the app to bypass Android’s sample rate conversion (SRC) to give you a bit-perfect output. DTA applies also to most alternative media manager apps on the R6 pro which gives it a distinct advantage over competing DAPs that need to use an audio priority protocol or boot into an audio exclusive mode for bit-perfect output. 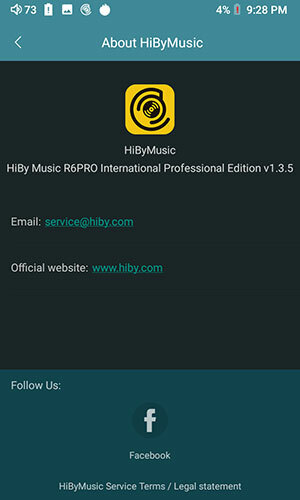 If you have used an R6 before or the HiBy Music app for Android then you should be very familiar with the R6 Pro media management capability. Scanning is very fast and quite accurate though what you see in the database will depend largely on how well your tags are filed. You can also still drill down via a folder category if your tagging is not up to par. This will include any OTG flash drives or externally powered HDD’s connected to the USB-C port. All the drill down categories are user controlled also meaning you can edit which ones you want to see and keep hidden in the sub-menu below the 5 main menu icons. Those 5 main icons are unchanged and cover the settings and EQ/DSP management, the media library itself, your playlists, HiByLink, and the search function. 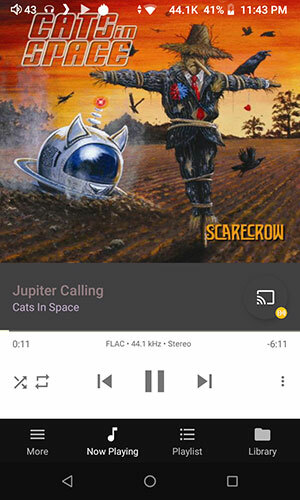 I guess I got spoiled by the very useful Bit and sample rate search features in the Lotoo PAW Gold Touch because I find myself wishing the search feature of the HiBy Music app had more control over the hi-res rates aside from the colored labeling on the song titles. You can still see the different labels denoting low-res, hi-res (HR) but they remain passive rather than active in defining how you access your media in the app. How great would it be if you could hunt down your lossy and lossless tracks via search or organize them according to bit or sample rate. Only the Lotoo PAW Gold Touch ATE and PMEQ features come close to the usefulness and fun of the MSEB (Magesound 8-Ball) DSP features in the HiBy Music app. There is no MSEB in the Cayin N8 implementation of the HiBy OS and the vast majority of other DAPs rely on more subtle digital filters that I find limited in effect. Not much has changed since I last reviewed it on the R6 save for some cosmetic enhancements which is a testimony to how great the MSEB DSP features are. The way it targets the frequency response and timbre of the audio signal is, well to be frank, quite special. You can thicken the sound, thin it out, increase or decrease sibilance, deepen the bass or make the timbre sound warm or cooler. These are just some of the controls available. 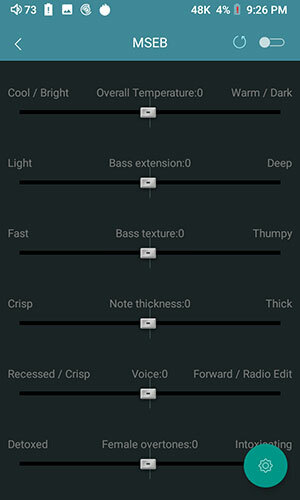 You can even decide how much each slider will affect the sound in the settings. You can use the MSEB to fine tune or completely take over, it is your call. It makes a mockery of describing the sound of the R6 because I can change it so radically making the R6 Pro a very fine tool for matching up to IEMs or headphones with fussy sound signatures. The HiBy Music settings are excellent with the key new features including access to LHDC (HWA) for Bluetooth audio transmission. Small dongles such as the W5 from HiBy (look out for James’s review on that one soon) and FiiO’s BTr3 should have no problem picking up and decoding the HWA signal from the R6 Pro. Aside from that, you get all the critical features you would look for in a decent media playback app including replay gain, play through folders, and gapless, (which works perfectly in our tests). 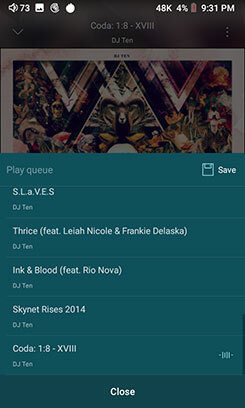 The playback and on the fly menu features during playback are the same as the current Android app in the Google Play Store. It still looks gorgeous, to be honest, though not much has changed since the original R6 version. On the top, you have a small arrow button that allows you to explore your media library during playback. You can return to the playback screen with the narrow playback bar at the bottom. To the far top right is a small 3 dot menu action button that brings up some quick options. 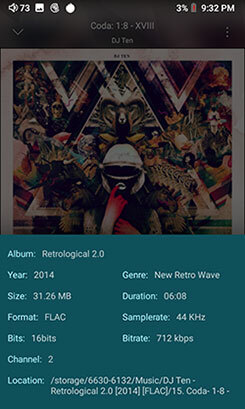 these include activating the 10-band equalizer, sharing the track, album and track info. You can also elect to add the track to a live playlist. The R6 also displays its system audio sample rate at the top bar next to the battery icon, not only in the HiBy app but with all third-party apps not going for immersive mode (thus dismissing the top bar). If you want to check the claim of bypassing Android SRC using the R6 DTA architecture then have a look there for the proof. 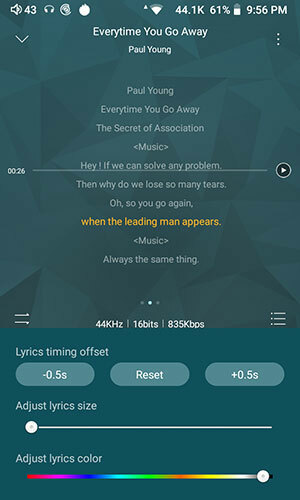 You will also find the lyrics and cover art enabler in the top-right 3-dot menu. This taps into an online database based on the tagging information on the track. I found it fairly accurate for popular stuff like Katie Perry and Dire Straits but for more obscure artists such as FAVORIT89 and Annette Askvik it drew a blank for cover art. For lyrics, I found the accuracy a lot lower. For very bland mainstream stuff like Paul Young’s ‘Everytime You Go Away‘ the lyric timing was quite off and some editing on the spot had to be done which the software does provide for. 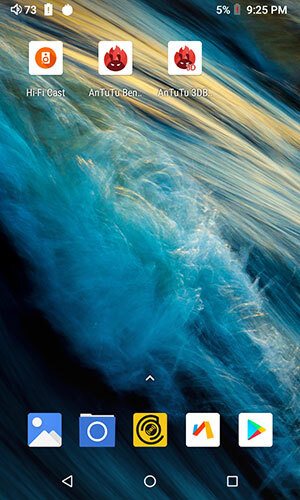 There is a small snippet of information in the middle of the playback screen just below the folder also. Here it will tell you the exact output information of the file being played including sample rate and Bit depth. To the left of this is a playback order function for shuffle, loop or sequential. To the far right is the playback queue where you can move tracks around to create the playback queue of your own choosing which I have always found useful on the older R6. WiFi strength between these two in my tests seems to produce similar results in terms of signal strength and how easily they picked it up. In fact, quite a lot of the time the R6 was the slightly better performer no matter what the location we chose, be it near or far. We used the Northbridge App’s WiFi Signal Strength tester on both the R6 and R6 Pro to confirm with around 5-6 different testing locations. A lot of this can depend on the router itself so I can’t vouch that you will have the exact same experience other than the WiFi signal is decent just not amazing. Personally, I load up Spotify, Plex, and Audiomack to kick things off which pretty much covers my streaming and DLNA needs. 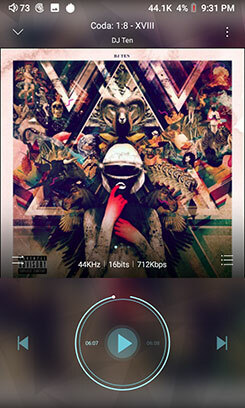 Mind you, the HiBy Music app is loaded with wireless features that I find quite interesting. 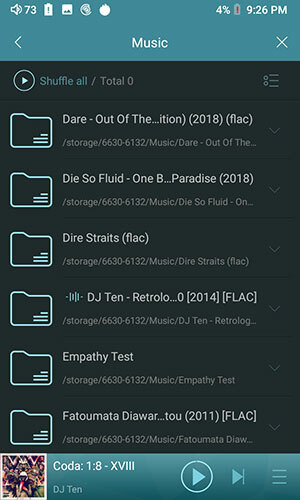 For one, you can use the DLNA feature inside the HiBy Music App which was there when we first did the original R6 review. It is not quite as sophisticated as Plex but it will work fine with medium-sized libraries and the buffer rate is decent also. We do not have TIDAL here locally due to regional blocks but a quick borrow of an APK and a ‘best buddies’ password and I can confirm that regular playback and save offline do work just fine. Bit-perfect TIDAL playback is a bit of a grey area though. Right now, you will get a constant 44.1k playback which is technically not bit-perfect. HiBy has kindly given me a software patch but it now plays at a constant 88.2k or 96k instead of 44.1k which is better but not quite right. After speaking to HiBy about this their conclusion is the issue lies in how TIDAL is rendering the track before delivering it to the R6 Pro DTA/system. DTA is working fine from their end but rather the signal they receive is constant and thus it is replicated as is for audio output. As it should do. 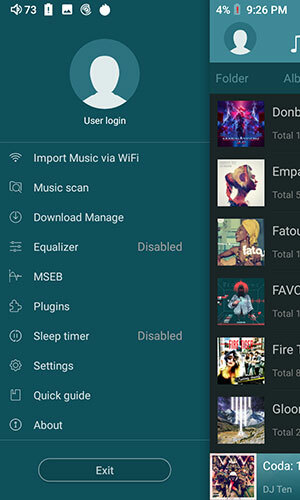 This is a fantastic feature which is a bit similar I believe to the “WiFi Sender” app but it is baked right into the HiBy Music app so no payment required. The only drawback for me personally was the transfer speed being much slower than a wired USB-C connection to my PC. Took about 1.5 mins for a 26MB FLAC file. This could ultimately depend on your WiFi network performance and capacity when you do the download. You may get much faster than me. Works like a charm and really no different to the latest firmware R6 experience. I couldn’t test it all that easily on the original R6 review as it was not active on the firmware back then. It is now. Basically, this allows you to set up the R6 Pro as either a client or server and operate another source with the HiBy Music app (and a BT connection) remotely. For example, your smartphone with HiByLink can connect to the R6 Pro and playback from the R6 library. You can then switch that around and play whatever is on your phone via the R6. You can also browse the media as well as operate playback controls and volume. Very handy indeed. Surely needed and glad to say the R6 Pro LDAC playback (via a 1MORE Triple Driver BT), especially when HWA is activated in the HiBy Music app. The jump in dynamic range and resolution with LDAC is excellent. Just be warned that the higher the codec choice the less stable the connection. My FiiO BTR3 connection was very choppy and I was right beside it. However, turning off and on and reconnecting was more stable, even with HWA but nowhere near as stable as the 1MORE BT Triple driver. One thing I did feedback to HiBy was the lack of visible labeling for what BT signal is being received or sent out to the corresponding device or the quick ability to mix between stability and best audio quality. That is present in the last 2 Oreo phones I have used but here you need to go into developer options to find out. A bit of a clunky route which could be improved with some taskbar notification or in the BT menu when pairing.